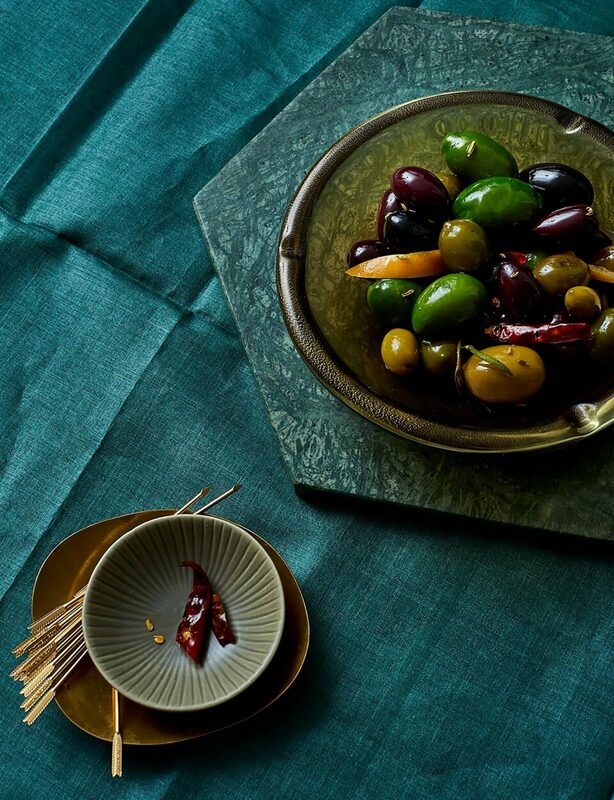 The simple addition of spices and preserved lemon and a gentle warming transform everyday olives into an edible event for a wonderful gluten free finger food. For easy entertaining, you can prepare the olives in advance and reheat them just before serving. In a dry skillet over medium heat, toast the fennel seeds and dried chiles, tossing occasionally until the fennel is aromatic and beginning to lightly brown, 1 to 2 minutes. Pour in the olive oil and add the rosemary sprig, olives, and preserved lemon. Cook until warmed through, about 2 minutes. Serve warm or transfer to a jar to marinate further in the fridge. Store airtight in the fridge for up to 2 weeks.